Lunchbox Dad: Three Holiday Dips That You Need for Your Next Party! Three Holiday Dips That You Need for Your Next Party! It's the holidays and you know the routine. You get invited to your first of many parties of the season, and right after you dig your ugly Christmas sweater out of the back of the closet, you need to decide on what meal you will bring. Add that to the fact that you need food that both little kids with Santa hats, and grown adults adorned in reindeer themed clothing, will eagerly consume. Don't worry, I have you covered. 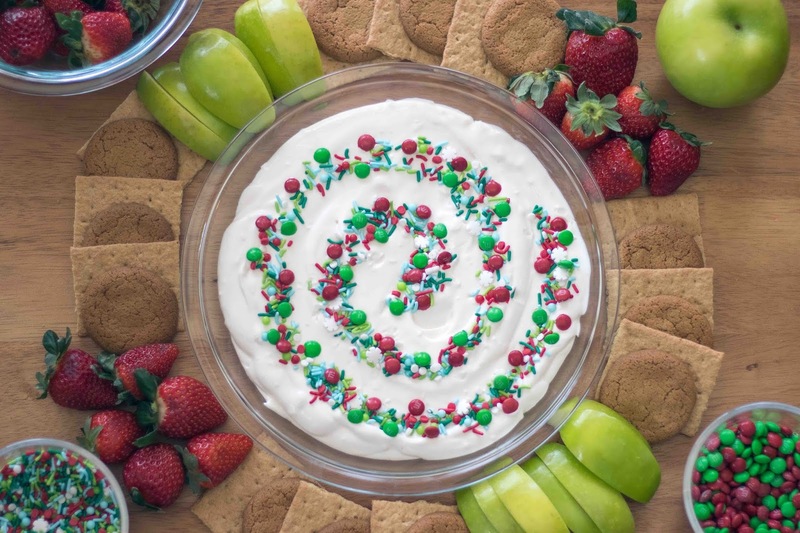 Here is a dessert dip and two appetizer dips that will easily get you through this season and beyond. The only downsides are that your party hosts will now expect you to make these tasty dips year after year and probably try to steal the Pyrex dishes that you brought the dips in as well! 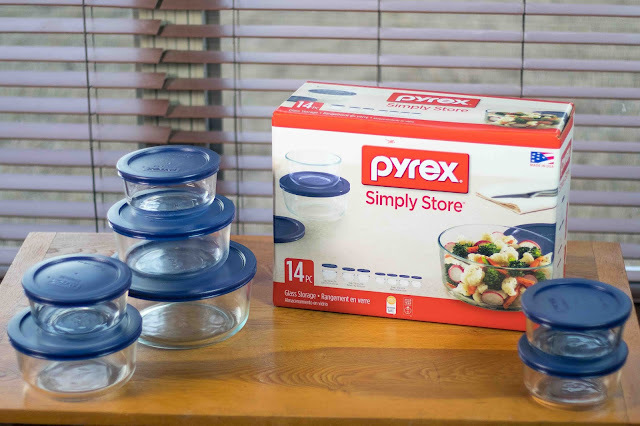 Scroll down to enter to win my Pyrex giveaway! The thing I love about dips is that they are perfect for parties. You can pair them with a variety of dipping foods to create amazing combinations. 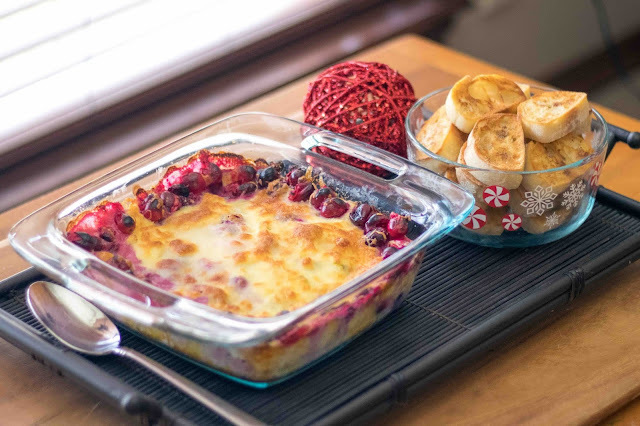 When you bring a couple varieties, they can be very versatile because someone may not be in the mood for bean dip, but they are craving a dessert. Plus, dips are easy to fit on those tiny little party plates that you carry around to engage in the 1,239 conversations you will have that night. You need to bring a dessert? There's a dip for that. You are required to bring an appetizer? Dips have you covered. Need a main course? Well, my holiday seven layer dip is pretty much as filling as a burrito without the tortilla. It will only take a few minutes to check out each of my dip recipes below, but don't forget to also enter my Pyrex giveaway at the end! Ingredients: 16 oz. softened cream cheese, 8 oz. cool whipped topping, 1/2 cup vanilla yogurt, 4 TBS flour, 6 TBS sugar, your favorite Christmas candy. 1. 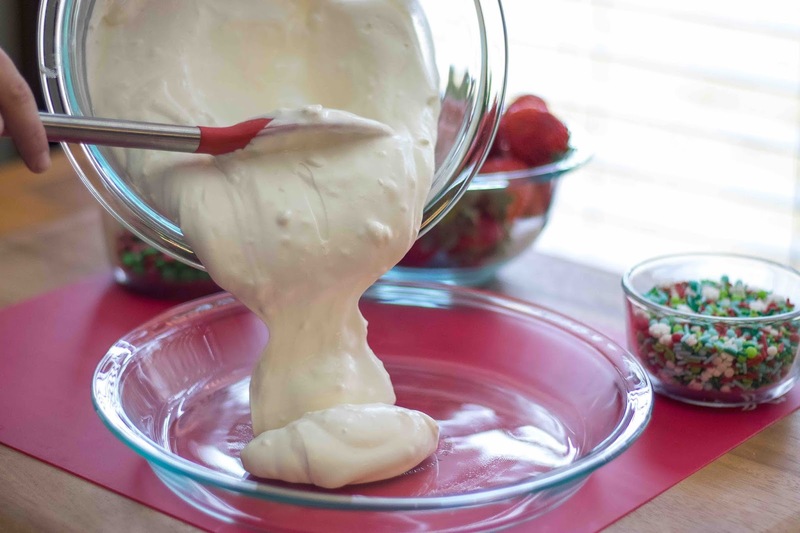 Blend all ingredients together, except for candy, in Pyrex mixing bowl until smooth. 2. Pour into Pyrex Portables Pie Plate and top with your favorite Christmas themed candy. 3. For dipping, include strawberries, apple slices, graham crackers, and gingerbread cookies on the side. To prevent fruit from browning, soak in pineapple juice. 4. 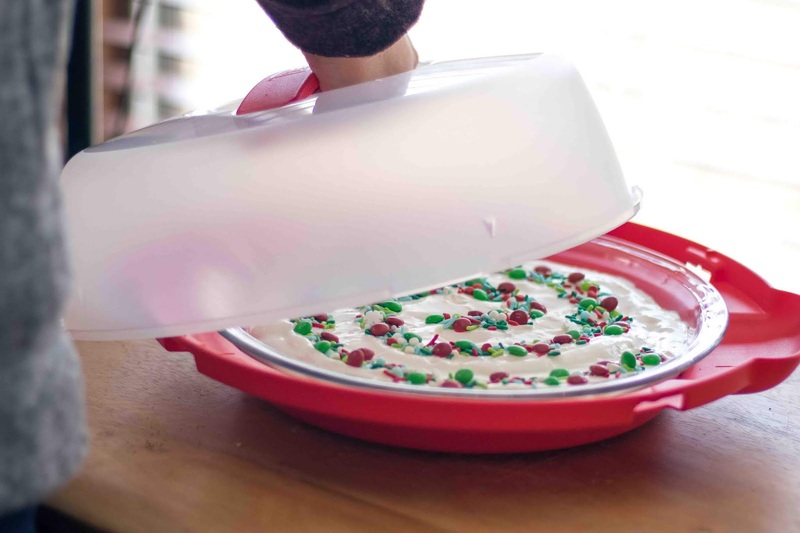 Place in Pyrex Portables Pie Carrier for an easy transport to your party! Ingredients: 16 oz. softened cream cheese, 3 cups shredded Mozzarella cheese, 1/4 cup jarred or canned chopped jalapeños, 2 cups frozen cranberries. 2. Mix cheeses and jalapeños together until smooth. Gently stir in cranberries. Spread in Pyrex Easy Grab Baking Dish. 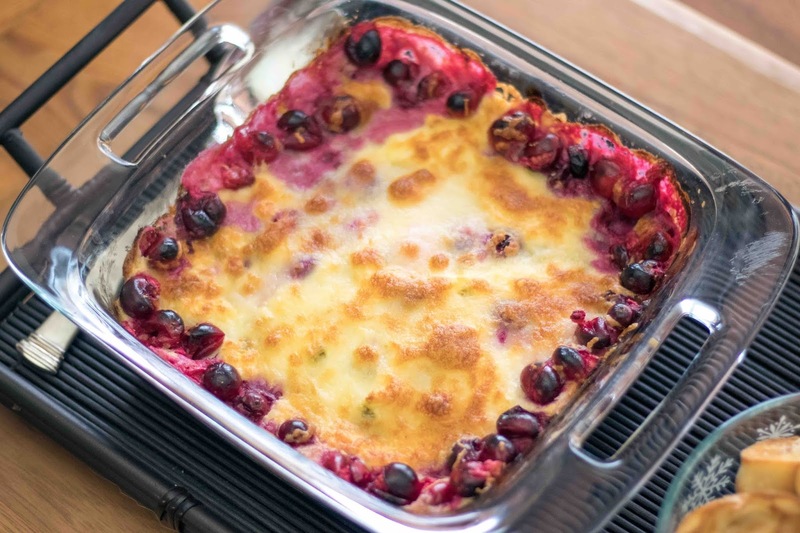 Top with extra cranberries and shredded cheese if desired. 3. Bake for 30-35 minutes until bubbly around the edges. 4. For dipping, include slices of toasted baguette on the side. Ingredients: 1 can refried beans, 1/2 cup sour cream, 1/2 cup salsa, 1/2 cup guacamole, 1 small can of sliced black olives, 2 green onions, 1/2 cup shredded Mozzarella cheese, 6-8 grape tomatoes sliced in half, 1 package of green spinach flavored tortilla wraps, olive oil, salt. 1. In Pyrex bowl, spread layers in whatever order you like. For example, beans, then sour cream, then guac, etc. The exception is to leave the shredded cheese and grape tomatoes for the top to give it a holiday feel. Place in refrigerator to chill. 2. Preheat oven to 350˚. 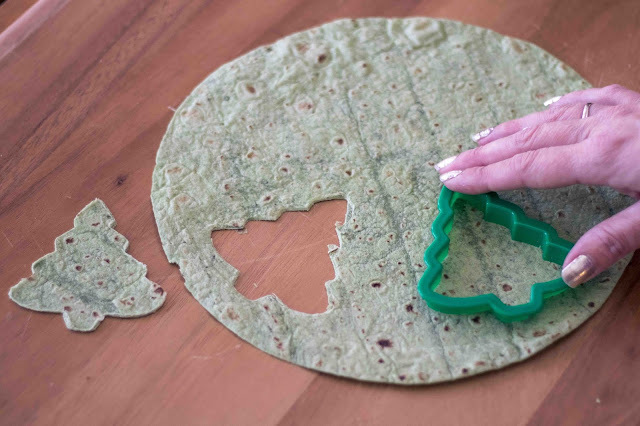 Use tree shaped cookie cutter on tortilla wrap to make tree shaped tortilla cutouts. Place on baking sheet. 3. Brush with a light coating of olive oil. Top with desired amount of salt. 4. Place in oven for five minutes. 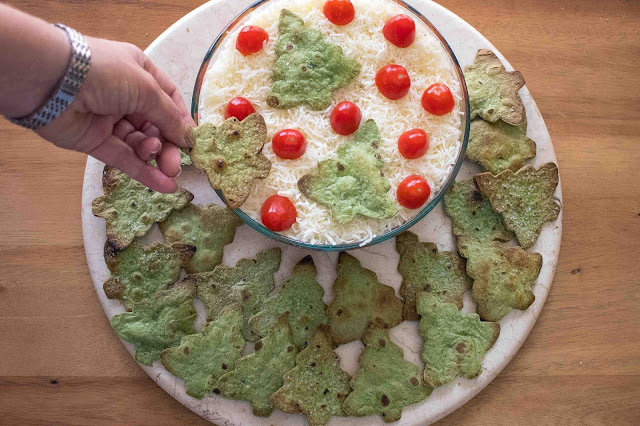 Flip tortilla trees. Bake for another 3-5 minutes watching for chips to lightly brown. 6. Serve chips on the side of seven layer dip. 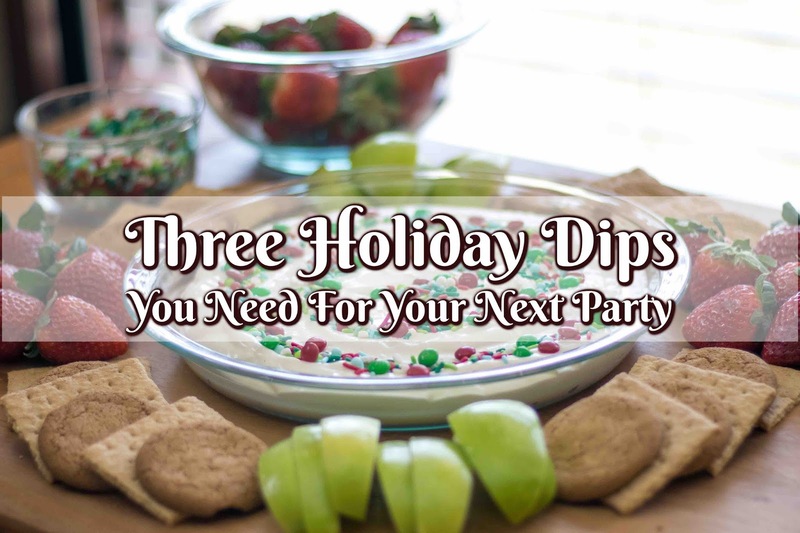 I hope you enjoy your holidays and also enjoy bringing these three dips to your parties! Remember that Pyrex comes in every shape and size and is fantastic to mix your dips, bake them, store them, and transport them. We have had some of our Pyrex glassware for years and it is a family favorite for sure. 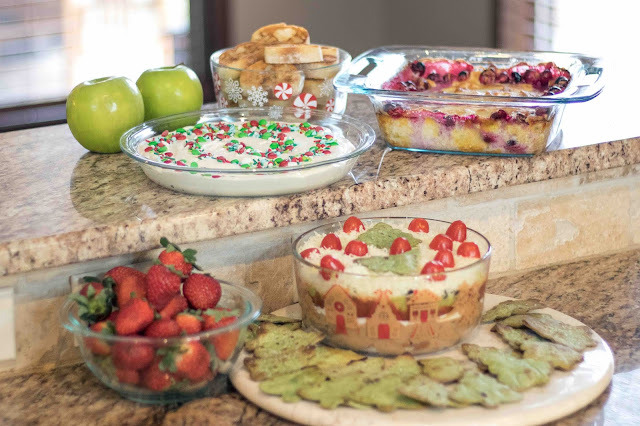 We love that Pyrex pure glass allows you to keep your dips (or any holiday treats) in your refrigerator or freezer without absorbing food colors, odors, or stains. You will definitely want to check out the entire selection at www.pyrexware.com and enter my Pyrex giveaway below because one lucky reader will win a set of simply store dishes for their own!